I would like to know if any writing system of Ireland had a system of writing numerals prior to the Romans introducing Roman numerals. There are lots of sites online that show the Ogham writing system broken down into letters. But no one ever explains how to write numbers. Did they simply spell out the letters for the number (i.e. write out A-O-N for "aon" for the number 1)? Or was there some other system? No, Ireland had no written form of numerals until the adoption of Roman numerals. The Ogam alphabet exhibits no numerals at all, from the earliest sources the alphabet only has 20 letters, with five Forfeda 'additions' at a later point in the medieval era. The alphabet is actually far more diverse than it is often given credit for, with the In Lebor Ogaim (one of our primary medieval sources on Ogham) giving us about 100 different ways of writing Ogham. Browse the Ogham in 3D Corpus, you won't find any with numerals. It's also questionable whether Ogham passes your requirement of 'a system of writing numerals prior to the Romans introducing Roman numeralst', with most scholars believing that Ogam was originally based on another script (5) in the 4th century(-ish), and the most common suggestion is that this 'original' is the Latin alphabet. This wouldn't be surprising as a vast number of Ogham inscriptions actually come from Western Britain, where Irish migrants would be able to become literate in Latin and develop their own system of writing. As for the alphabet in @EvanM 's answer ... that suggestion could not be more categorically false, they quote from the 1862 and 1874 (2 volume) text Barddas. A romanticist and nationalist treatise on Welsh 'bardic' and 'druidic theology' and 'lore' written by the infamous literary forger Iolo Morganwg. To provide some more context to the man, Celtic Romanticism had begun to flourish in Britain from the 17th to 18th centuries, many of its participants were fascinated with the idea of Druids, they mixed new ideas about religion with their conservative Christian beliefs. Iolo Morganwg otherwise known by his birth name Edward Williams was born in the centre of this, and as a fervent Welsh nationalist became a major figure in the Celtic Revival. 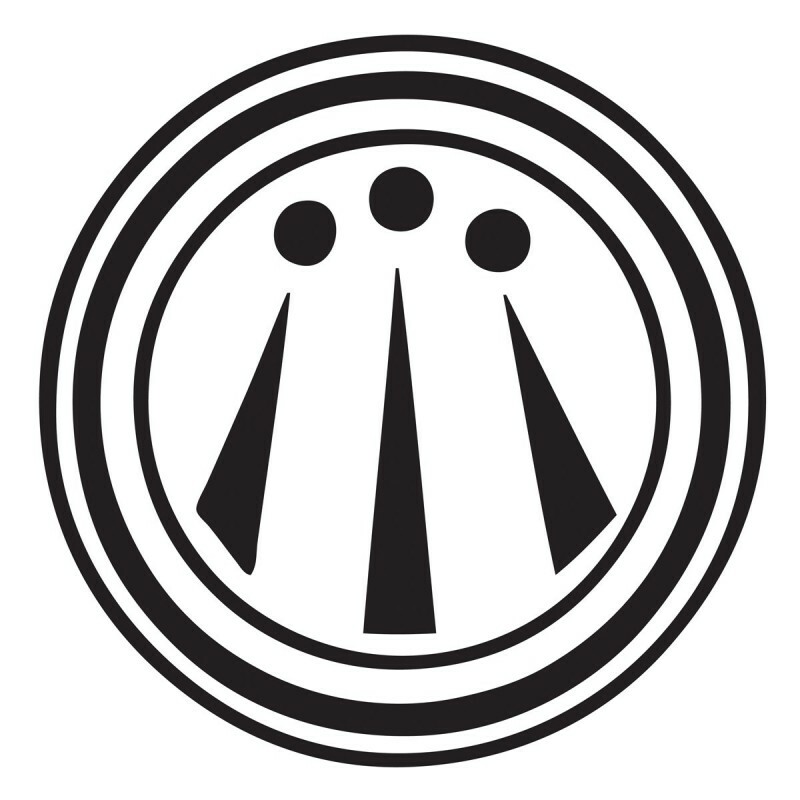 His Barddas and his activism largely helped start the modern movement of Neo-Druidism, and his writings make up a large part of its theology to this day. And goes onto provide the full alphabet, including numerals, as @EvanM has shown. I cannot emphasise enough, apart from some character names, which he lifts from earlier Welsh literature, none of this exists in any form, literary or archaeological, before Iolo Morganwg, this alphabet is purely of his imagination. (5) Macalister, R. A. Stewart, The Secret Languages of Ireland reprinted by Craobh Rua Books, Armagh 1997. That is to say, one, two, three, four, five, six, seven, eight, nine, ten, one-ten and one, one-ten and two, one-ten and three, one-ten and four, one-ten and five, one-ten and six, one-ten and seven, one-ten and eight, one-ten and nine, two-tens; and as before to three-tens, four-tens, five-tens, six-tens, seven-tens, eight-tens, nine-tens, a hundred; and to a thousand; and from thence to ceugant. It is a secret kept from the beginning by the voice of the Gorsedd of the Bards of the Isle of Britain; and it was first appointed as a special art in the sciences of wisdom by Tydain, father of Awen, who also arranged the symbols of the art of musical [p.98 p 99] harmony, in respect of voice, string, and bellows, as is exhibited in the memorials of the Bards of the Isle of Britain. It goes on to say how you can add these symbols together to get 100's and thousands. Just search for the title "THE THREE SYMBOLS OF SCIENCES" in the link below and you will find the section. EDIT: I found this book after digging deeper based on the comments I have found support that the early Celts used hash marks to count and not what we would call numbers. So far that is all I have found. Not the answer you're looking for? Browse other questions tagged ireland writing or ask your own question. What is the labelling system for artefacts?